A reflection on the huge changes facing our global society. 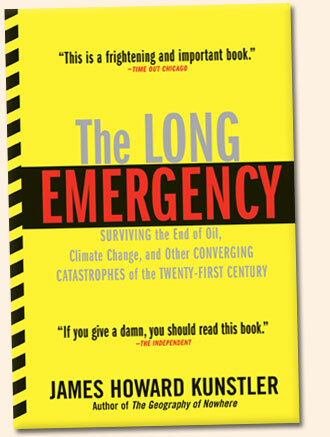 I am reading James Howard Kunstler’s book The Long Emergency. On the front cover there is a quote from a review in The Independent newspaper, “If you give a damn, you should read this book.” On the back cover, the quote, “Stark and frightening. Read it soon.” – Daily Camera. The quotes are spot on! Rather than give my own opinion at this stage (I should finish the book first! ), let me quote from the opening of Chapter Five, Nature Bites Back. I was a at a four-day conference called Pop Tech in the seaside village of Camden, Maine, at the peak of the fall foliage season in October 2003, having a pretty good time at the talks, and enjoyiong a series of extravagant dinners – one featuring a free oyster raw bar and gratis Grey Goose vodka – not to mention all the lobsters, steaks, and other products of our bountiful cheap-oil economy. Then, on Saturday afternoon, a scientist from the University of Washington, Peter D. Ward, got up in the old-time opera house where the conference was held and did a presentation about the life and death of the planet Earth, Using a series of vivid artist’s renderings delivered on PowerPoint, Ward showed us how, hundreds of millions of years hence, all land animals would become extinct, the green forests and grasslands would broil away, the oceans would evaporate, and eventually our beloved planet would be reduced to a pathetic ball of inert lifeless lint – prefatory to being subsumed in the expanded red giant heat cloud of our baking sun. Few members of the audience had any appetite for the spread of cookies and munchables laid out for the break that followed. Personally, I was so depressed that I felt like gargling with razor blades. The human spirit is remarkably resilient, though. A few hours later, the horror of it all was forgotten and the conference-goers reported to the next supper buffet with the appetites recharged, happy to scarf more lobster and beef medallions and guzzle more liquor, while chatting up new friends about their various hopes and dreams for the continuing story of civilized life here on good old planet Earth, which, it was assumed, had quite a ways to go before any of us needed to worry about its fate, if ever. Wasn’t it John Maynard Keynes who famously remarked to a group of fellow economists dithering about the long-term this and the long-term that: “Gentlemen, in the long term we’re all dead.” Our brains are really not equipped to process events on a geological scale – at least in reference to how we choose to live, or what we choose to do in the here-and-now. 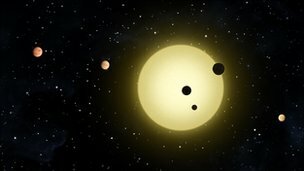 Five hundred millions years is a long time, but how about the mad rush of events in just the past 2,000 years starring the human race? Rather action-packed, wouldn’t you say? Everything from the Roman Empire to the Twin Towers, with a cast of billions – emperors, slaves, saviors, popes, kings, queens, navies, rabbles, conquest , murder, famine, art, science, revolution, comedy, tragedy, genocide, and Michael Jackson. Enough going on in a mere 2,000 years to divert anyone’s attention from the ultimate fate of the earth, you would think. Just reflecting on the events of the twentieth century alone could take your breath away, so why get bent out of shape about the ultimate fate of the earth? Yet, I was not soothed by these thoughts, nor by the free eats, and even the liquor failed to lift me up because I couldn’t shake the recognition that in the short term we are in pretty serious trouble, too. OK, that’s enough for today – I’ll continue this important extract on Monday. Let me close by inviting you to watch James Kunstler in interview. … in developed countries is not only an insanity but also an obscenity. It is no healthier than tapwater. If it were essential to health then how come we oldies survived before? Logically, the Human Race should have died out. It tastes no different, unless you buy it fizzy – but you could add your own fizz at home. It costs VASTLY more than tapwater. It is VASTLY more profitable to producers than gasoline for oil companies. It is VASTLY more expensive to produce – around 1500 times more than an equivalent quantity of tap water. Its transportation produces significant amounts of harmful emissions. 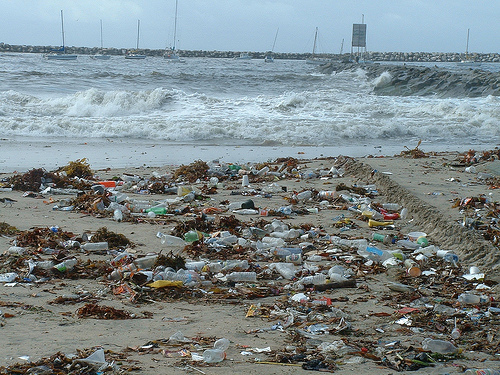 It is VASTLY wasteful; water is scarce, yet it takes 7 litres of water to make a 1 litre bottle plus the contents. It soaks up resources that could be better used, including to save lives of people dying from lack of or dirty water. In short, it is absolute folly. What on earth is there going for it? At the same time, it is big business and very popular? Why? Are people ignorant about all the above? That’s quite worrying …. not much future with so much ignorance about. Are people paranoid about what comes out of their taps? Oh dear – paranoia is not good for us. Do people place their vanity and status-image before the above-mentioned points? Hmmmm …..
Are many people just suckers for slick advertising? I guess the answer to that one is a straight “Yes”. Have millions of people no common-sense and/or social conscience? Oh dear, this time it’s a clear “No”. Bottled water is nonsense, except of course where there is no alternative. If rich, fat Westerners really like bottled water they could export it to developing countries where millions die through lack of or poisoned/polluted water every year while at the same time pouring funds into building water infrastructure for these very same people. Yes, I know the industry provides jobs, but so did making nerve-gas for the Nazis. The point is, we should direct our energy and money into things which are not totally unnecessary and destructive. I’m not a great fan of the “nanny-state”, but in some areas – and this is one – the government should be taking a more forceful lead. 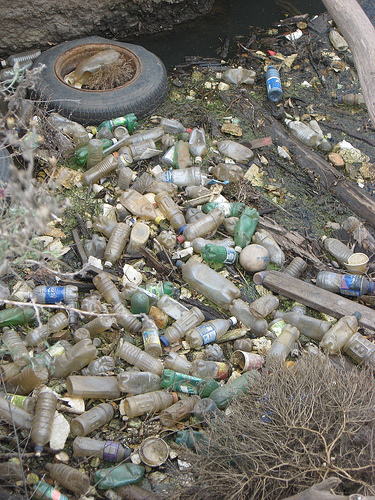 Help us kick our silly, selfish, faddish and destructive addiction to bottled water.